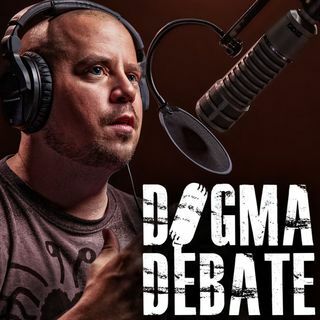 Wrapping up the discussion on God from #298. Frank's argument for the ressurection of Jesus is painfully circular. He first needs to assume that his god exists... Then he uses that assumption to support the ressurection of Jesus... Then he uses the ressurection of Jesus as proof that his god exists... Which is what he assumed from the start... It's mind numbingly obvious yet Frank seems oblivious. I agree Sasori Akusana, very hard to listen to. One logical fallacy after another, after another, after another. What he constitutes as "evidence" was just... silly. Also, Mr. Turek seems to have a somewhat eccentric view of what constitutes "evidence". Someone having written something down, combined with "I can't think of a reason they would lie", does not make something ironclad, factual evidence. Heck the Branch Davidians and the People's Temple folks were all eyewitnesses who dies for their faith, that in no way suggests that David Koresh or Jim Jones were right. I wish Mr. Turek would just be honest and admit that presuppositionalism is the foundation of everything he says ("The only logical explaination is, coincidentally, the God I happen to believe in along with most of my culture! Isn't that somethin'?"). They are the same thing, Frank.